An allegation made by a former high-ranking police official has rocked the agency charged with investigating police abuse cases. 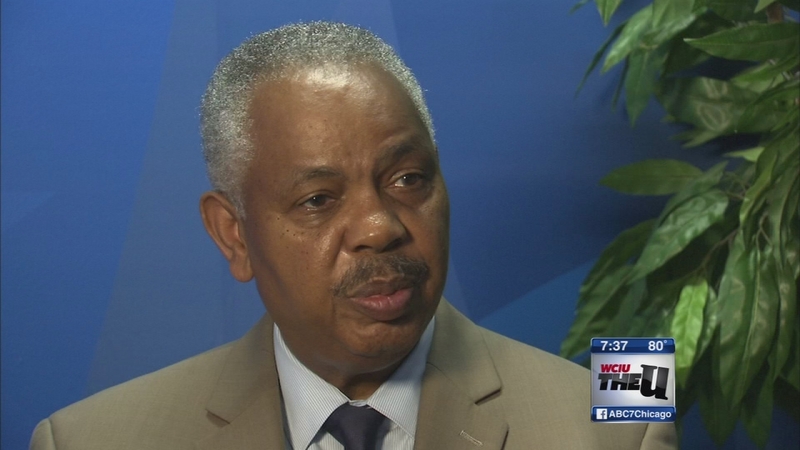 CHICAGO (WLS) -- An allegation made by a former high-ranking police official has rocked the agency charged with investigating police abuse cases. On Thursday, demonstrators chanted "stop police crimes" outside the Independent Police Review Authority's headquarters as they demanded that the federal government investigate the agency. "We clearly need an outside agency to come in and investigate this because clearly the city does not want to do anything about this," said Lacreshia Birts, Chicago Alliance Against Racist & Political Repression. The controversy reignited this week when Lorenzo Davis - a retired Chicago police detective, district commander and licensed attorney- said he was fired from his job as an IPRA investigator when he would not change reports on several officer-involved shootings that he found to be unjustified. Lorenzo Davis says he was fired by the Independent Police Review Authority because he determined that several officers who shot and even killed civilians were not justified in doing so. "If I did not change it, I was insubordinate and I would be disciplined," Davis told ABC7 on Monday. Since 2007, IPRA has investigated nearly 400 police shootings of civilians and found only one to be unjustified. IPRA Director Scott Ando refused ABC7's request for an on-camera interview. Ando's top aide delivered a one-page statement that read: "No one at IPRA has ever been asked to change their findings. A few cases (Davis) worked on were found to be incomplete by all three levels of management above him, all with equal or greater experience." "IPRA and the police board, the way they work now, basically work as a cover-up mechanism, as a way to justify any crime that the police commit," said Ted Pearson, Chicago Alliance Against Racist & Political Repression. Meanwhile, a spokeswoman for Cook County State's Attorney Anita Alvarez says the office became aware of Davis' allegation after seeing his interview Monday on ABC7. She stopped short of saying the matter is under investigation but added "we are looking at all of the information that's out there currently." ABC7 confirmed Thursday that Mayor Rahm Emanuel's office is aware of the Davis allegation. In fact, a press aide to the mayor assisted in writing Scott Ando's statement on Thursday. Mayor Emanuel appointed Ando to lead IPRA 17 months ago.